Plain low cost white paper. Used for wrapping crockery when moving house. Product description: Plain low cost white paper. Used for wrapping crockery when moving house. 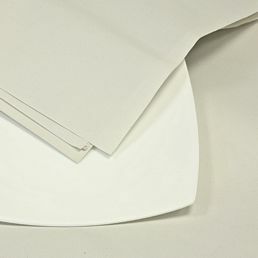 Description: "Picture of white news offcut sheets"
A selection of packaging items essential when moving house, or putting goods into storage. 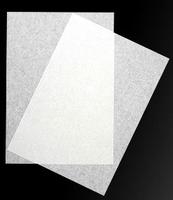 Description: "Photo of sheets of tissue paper"
Polystyrene Loosefill. LOCAL DELIVERY ONLY. 15cu. ft / 0.425 cu. Mtrs bags of polystyrene chips for use in protecting boxed goods in transit. Due to excessive carriage charges on bulky lightweight items, these bags of Looosefill are for local delivery (Norfolk/North Suffolk) only. Product description: 15cu. ft / 0.425 cu. Mtrs bags of polystyrene chips for use in protecting boxed goods in transit. Due to excessive carriage charges on bulky lightweight items, these bags of Looosefill are for local delivery (Norfolk/North Suffolk) only. Description: "Photo of a sack of polystyrene loosefill"
Corrugated Card on rolls. LOCAL DELIVERY ONLY. Corrugated card on rolls for protection of goods in transit. Due to excessive carriage charges on bulky lightweight items, the corrugated card below is for local delivery (Norfolk/North Suffolk) only. 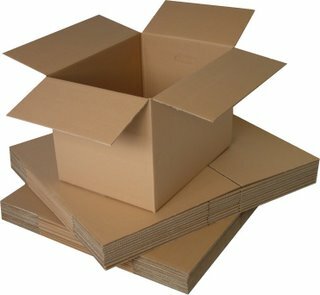 Product description: Corrugated card on rolls for protection of goods in transit. Due to excessive carriage charges on bulky lightweight items, the corrugated card below is for local delivery (Norfolk/North Suffolk) only. Description: "Photo of a roll of corrugated card"
Bubble Wrap - Small Bubbles. LOCAL DELIVERY ONLY. Bubble wrap for protection of goods in transit. Small Bubbles (10mm approx) on 100 Mtr Rolls. Due to excessive carriage charges on bulky lightweight items, the bubble wrap below is for local delivery (Norfolk/North Suffolk) only. Product description: Bubble wrap for protection of goods in transit. Small Bubbles (10mm approx) on 100 Mtr Rolls. Due to excessive carriage charges on bulky lightweight items, the bubble wrap below is for local delivery (Norfolk/North Suffolk) only. Description: "Photo of rolls of bubble wrap "
Bubble Wrap - Large Bubbles. LOCAL DELIVERY ONLY. Bubble wrap for protection of goods in transit. Large Bubbles (25mm approx) on 45 Mtr Rolls. Product description: Bubble wrap for protection of goods in transit. Large Bubbles (25mm approx) on 45 Mtr Rolls. Due to excessive carriage charges on bulky lightweight items, the bubble wrap below is for local delivery (Norfolk/North Suffolk) only. Description: "Photo of reels of vinyl tape"